This circular saw jig has been around for many and the first one I made was over 20 years ago, so it's time for an update, and with a twist, this new version is even better !! I have not seen the adaption I am going to make so this appears to be a new version of an older tried and true circular saw jig. My biggest complaint with the original jig was I never seemed to have enough support on the start of a cut and sometimes my cuts were not a crisp as I would have liked them to be. But now I have a solution for that. Track saws have become somewhat popular in recent years, particularly with finish carpenters who are working on job sites and often working with sheet goods, like plywoods and needing a way to make accurate cuts on them. Track saws are easy to move around and generally do a good job, but like always there are alternatives and this circular saw jig with the improved start position is a great alternative for only a few dollars. The jig I make in the video consists of a half sheet of 3/8 inch plywood, cut in half the long way, and thankfully my wood supplier sells half sheets like this. The main thing I am interested in is the factory edge of this sheet because I want an edge that is true and straight and most factory edges are. Because my wood yard cut the sheet for me, I marked which edge was the factory edge before I let them cut it. I just wanted to make sure I didn't get the edges mixed up so I marked it with a red felt pen ... just a few strokes so I knew which side was which. This is a pretty easy jig to make, the only real difference to an older version of the same jig is my version, the fence portion is moved back about 2 inches. This allows the circular saw to get a better alignment on the beginning of the cut, and on the finish of the cut, the part of the fence is not even used so it works to move fence backward a small amount. To make this jig all you need is any circular saw, corded or cordless, but one thing that does help make a difference is the blade, In my case, I selected the Freud 40 tooth 7-1/4 blade which for cutting plywood, does an excellent job as you can see in the video. I also made sure that the position of my blade is always about a half tooth beyond the thickness of the material being cut. This is very important for 2 reasons, not only do you get better cuts on your wood, but it's also much safer to use a circular saw properly. Allowing the blade to be fully extended for all cutting is unsafe as those who have been injured by kickback can attest to. The first thing I did was to mark off the first 4 inches of the sheet that included the factory edge. This would be my new fence for the circular saw to ride along. Next figure out how much extra wood there was on that half sheet that I would not need, as it turns out the part I needed is only 11 inches wide and that still left me room to make future adjustments should the need arise. I decided that this time I would use some 5/8 inch screws to fasten the fence part to the base. that way if I get a different saw some time or need to make other adjustments I should be able to do that with the material I have hereby undoing screws and re-positioning the fence. I drilled countersink holes in the underside of the jig, 2 holes about every 14 inches. Before I attach the fence to the base I needed to check to see what the exact distance would need to be that the fence could be moved back. In my case, it was about 2.25 inches. 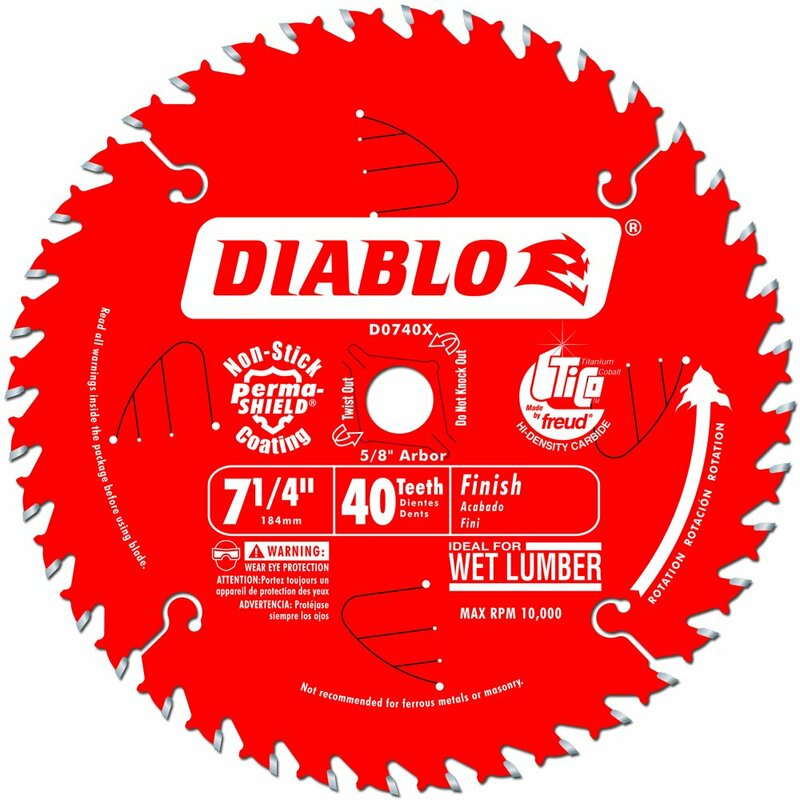 It doesn't sound like much but when you are working with a circular saw that only has a total base length of about 11 or 12 inches, that 2 or 2.5 inches can mean an extra 20% or 25% support which is quite a bit. I attached the new fence to base, making sure that the new fence was further back than the widest part of the circular saw and that to fit the saw onto the jig, I would first have to make one pass to trim the outside edge of the jig and at the same time would be making an edge from where to mark set the jig so that I can make very accurate and straight cuts. That first pass I made with the circular saw to trim the edge of the jig was all it took to convince me that adding that extra couple of inches at the beginning of the cut ensured a good clean start, and just as I expected the end of the cut was still as smooth as it needed to be. Next, I wanted to make at least one test cut on some plywood and I had a small sheet of 4 foot wide on hand that needed a trim. I set the new jig up, aligned it to 23-1/2 inches and even took in a small amount for the thickness of the blade, then went ahead and made the cut. When I measured the cut, it was near perfect, even for just "eyeballing" the small amount to compensate for the thickness of the blade. The cut itself was excellent from start to finish. This is another easily made jig that can turn any circular saw, fitted with a good quality fine tooth blade, into making excellent cuts. It does not do everything a track saw can do, but it sure cuts accurate and straight cuts and for most of us, that's exactly what we are looking for.